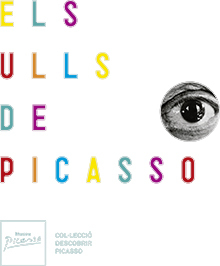 The Museu Picasso presents the first two issues of a new collection ─«Discover Picasso»─ dedicated to children. These are books integrally illustrated with images of oil paintings, drawings, engravings and ceramics that belong to the collection of the museum and that, through drawing, painting and games, aim to approach children - and also the not-so-young - to the work of Picasso. In the second, Picasso's bestiary, we discover that animals are also the protagonists of many of his works. 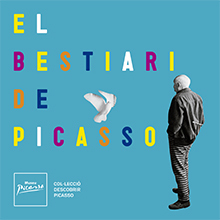 The Museu Picasso presents a new collection ─«Discover Picasso»─ dedicated to children. These are books integrally illustrated with images of oil paintings, drawings, engravings and ceramics that belong to the collection of the museum and that, through drawing, painting and games, aim to approach children - and also the not-so-young - to the work of Picasso. 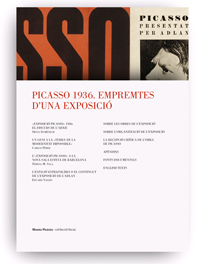 The first issue, The eyes of Picasso, places the emphasis on the aspect of Picasso as a portrait artist, and the multiple techniques that he mastered. 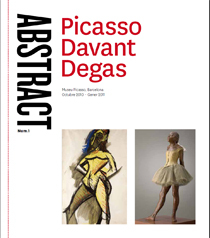 This is the first issue of a new collection being published by the Museu Picasso on the occasion of the exhibition Picasso Looks at Degas. Under the generic name of Abstract, and with an approach similar to that of what are known in France as "petits journals", the Museum aims to give the public an outline of the contents of its temporary exhibitions. To this end we have selected some of the best works, grouped them into thematic areas, and provided them with short explanatory texts and quote passages from the exhibition catalogue.